Rolex watches are symbols of excellence, performance and prestige. Throughout its history, Rolex has pioneered the development of the wristwatch for the modern era. The company is at the origin of landmark innovations in watchmaking, including the first waterproof wristwatch, the Oyster, and the Perpetual rotor self-winding mechanism. Our mission is not to restrict the interest in Frédérique Constant watches to a limited and elitist circle of connoisseurs but rather to a broader selection of appreciative enthusiasts who want to enjoy high quality classical watches at sensible prices. Frédérique Constant has exhibited at the World Watch, Clock and Jewellery Show in Basel since 1995. As the company flourished, Aletta Bax and Peter Stas decided to move to Geneva themselves, to develop the brand in the heart of this watchmaking capital. 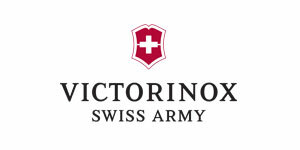 Victorinox products are conceived, designed and built to accompany us all through life. Purposeful, reliable, their functional aesthetic appeals to our rational side. They also conquer our hearts, in the sense that they seem always to deliver more than we expect of them. Whatever your particular selection -- from high-quality Victorinox professional cutlery to precision Swiss-made timepieces-- each Victorinox product embodies the spirit of the legendary Original Swiss Army Knife. Emerging in 1891, it remains to this day an icon recognized the world over as a symbol of quality, functionality and continuous success. Hingham Jewelers is proud to offer a select few high quality previously owned timepieces. Each is individually examined to ensure it meets our standards. With each generation, strong traditions and ethics are passed down - instilling a sense of pride at the achievements this family led business has made. 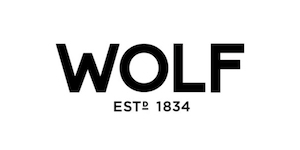 From our 180 year history to our global brand recognition, WOLF has never waivered from its undying pursuit for perfection, luxury and elegance. We take pride in the meticulous care we take in the design and production of each WOLF piece.